Hi everyone, this is a new feature I’m planning on That Mutt called 5 Question Friday. 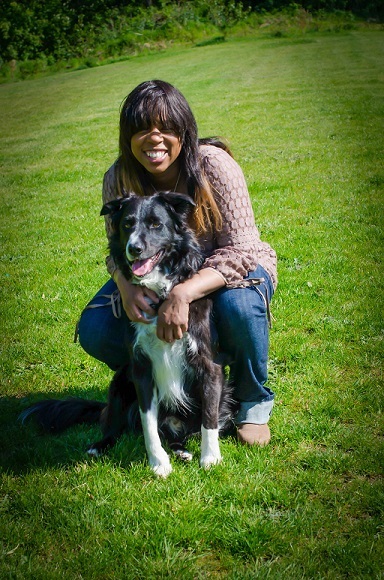 I’ll be featuring a variety of professionals who work with dogs and our very first “5 Question Friday” interview is with Kimberly Gauthier, a dog nutrition blogger at Keep The Tail Wagging. 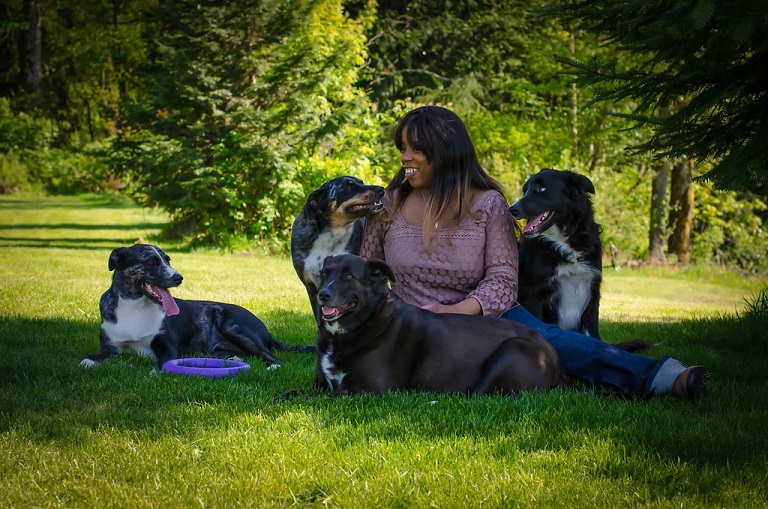 Kimberly feeds her four dogs—Sydney, Rodrigo, Scout and Zoey—a raw diet and recently wrote a book to help others interested in raw feeding. 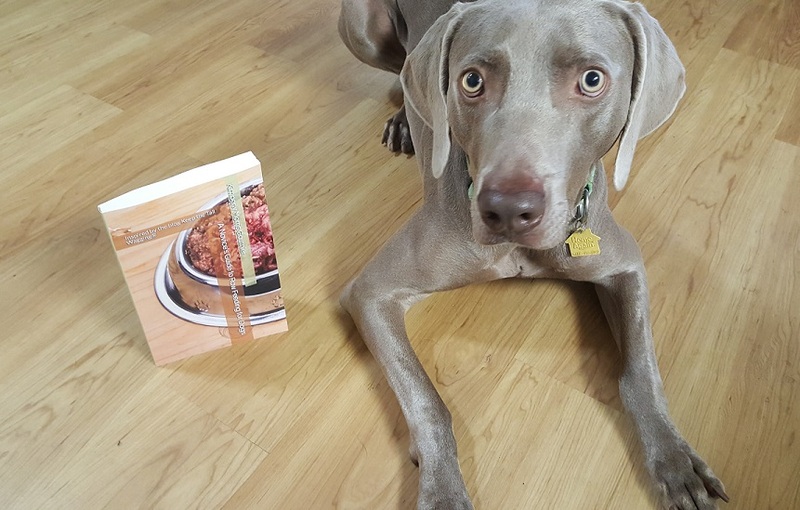 Her book is called “A Novice’s Guide to Raw Feeding for Dogs” and is available on Amazon in both paperback format and Kindle format. 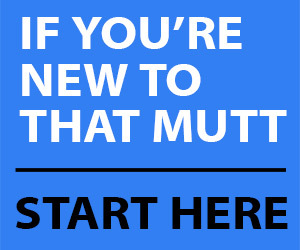 That Mutt: What’s something you believe in that other people think is crazy? Kimberly Gauthier: I believe that I’ve seen ghosts—a few times. Sydney has growled at a spirit in the house; Scout has dropped a ball for one. A teenager died in a car accident near our property, I saw him walk across our porch that night. My father has visited me. And Blue comes back to visit us from time to time. TM: What is the worst raw feeding advice you’ve heard? Kimberly: The worst advice I’ve heard came out of my own mouth and I owe the person on the receiving end a big apology. TM: What’s something weird that happens to you on a regular basis? Kimberly: I hate the sound of people sniffing big globs of phlegm and swallowing. I’m sure there aren’t many people who enjoy the sound, but I absolutely hate it because my mom had a friend who did this when I was a kid. It was so gross. I must have said something horrible as a child, because Karma has arranged it so that I often end up sitting next to this guy who sniffles big globs of phlegm and swallows it. I’ve had to change cars to avoid him—it doesn’t always work. TM: Do your dogs sleep in your bed? Kimberly: Sometimes. My boyfriend and I sometimes work different schedules and if he has to get up early, I’ll sleep in our guest room so that he gets a full 8 hours of sleep, otherwise he’s kind of a jerk. The dogs meet me at the bottom of the stairs on these nights because they know they get to join me when I sleep in the guest room. TM: Anything you want to say to That Mutt’s readers? Kimberly: Let’s improve our relationships in the pet lover community by keeping an open mind and asking questions before passing judgment. 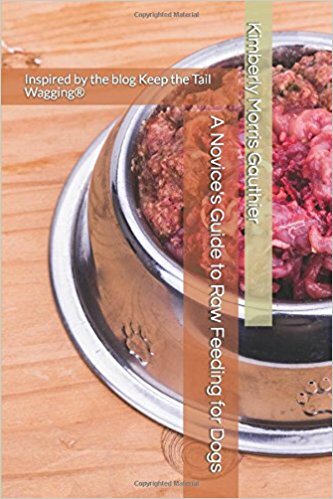 And, when you finish reading this, please check out my new book, “A Novice’s Guide to Raw Feeding for Dogs,” which is currently now available on Amazon. It’s a book that covers everything I’ve learned about feeding raw to four dogs over the past 4-1/2 years. Nice to meet you Kimberly. My dog, Harry, gets one to two organic raw egg yolks a week and raw stew meat once a week. The dog food he eats is Blue Wilderness. I would like to add raw chicken with the bone. For a 16.5 pound dog, what would be appropriate? I was thinking of a chicken leg. What do you think? Thank you. Hi Heidi, Kimberly can let you know here thoughts too but the general recommendation with feeding raw dog food is to feed roughly 2.5% of your dog’s weight per day and adjust as needed depending on how active he is, current weight, etc. Don’t quote me on my math here but off the top of my head for a 16-pound dog you would feed maybe a half-pound per day (8 ounces) on the high end. Probably a bit less. I used a food scale to help me at first to get a rough idea. You don’t need to overthink it but it is easy to overfeed. Depending on the size of the chicken legs, they would be a good option for starting. What a cool feature, and thank you, Kimberly, for sharing some things about yourself and your approach to raw feeding. I’ll be checking out your book – I feed raw, and new information is always good. You’d probably like her blog too if you’re not familiar with it already.